Specifically developed for billboards, Xerox Blue Back Outdoor Paper has good colour reproduction, is extremely durable and is weather resistant. 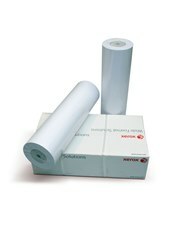 For use with Latex, Solvent, Eco Solvent and UV Curable printing. Specifically developed for billboards, this paper is also great for posters and point of sale.